Shmee Takes On The Automatron! Fallout 4 got its first piece of DLC, and I have to say it is pretty good. I wasn’t so sure about Automatron when I first heard about it. Sure it had more robots and a random villain, The Mechanist, to shoot, but no new city to explore. Well I was wrong okay! It turns out Automatron was just what Fallout 4 needed: more loot, and more ways to use the loot you already have. Automatron starts off with you getting a new radio frequency to listen too, and if you tune in, you hear a distress call from some traders. When you rush to help out you will be too late, but you will find Ada the robot programed to defend the caravan, and she will want vengeance on The Mechanist for her fallen group. If you help her, you will gain the ability to build a robot work shop to customize not only Ada, but bring to life as many robots as you have the scrap for. Of course you can only bring one robot companion with you at a time, but it still it really lets you build some pretty great robots. Making the bots is the best part of the Automatron DLC pack. If frees you to design the perfect companion. Auto laser canon? Sure. Freezing canon and a hammer to break apart your foes? Absolutely. Need someone to pick locks for you? The bots got you covered! The robots can fly, walk, or roll on the ground it is up to you. Well provided you have the perks to do it. The perks to build the robots are the same as all the other crafting perks: Armorer, Gun Nut, and Science. Since you will be fighting a ton of bots it might also be good to have Robotics Expert as well. Now if you don’t have those perks don’t fret. There is another way to build the bots you want, and that is from killing other robots. They will drop parts that will go in to your Mods inventory that you can attach to your robot pals. The cooler the robot you destroy, the higher the likelihood that they will drop something sweet for you to take home and strap to your favorite metal friend. When you start Automatron you may disappointed with the apparent lack of customization offered, but don’t worry once you beat the quest all robot mods will become visible to you. You will still need the perks to build those mods, but at least you will be able to see what you need to get what you want. Side note: It was nice that this quest offered a couple of outcomes which is sadly rare for Fallout 4. 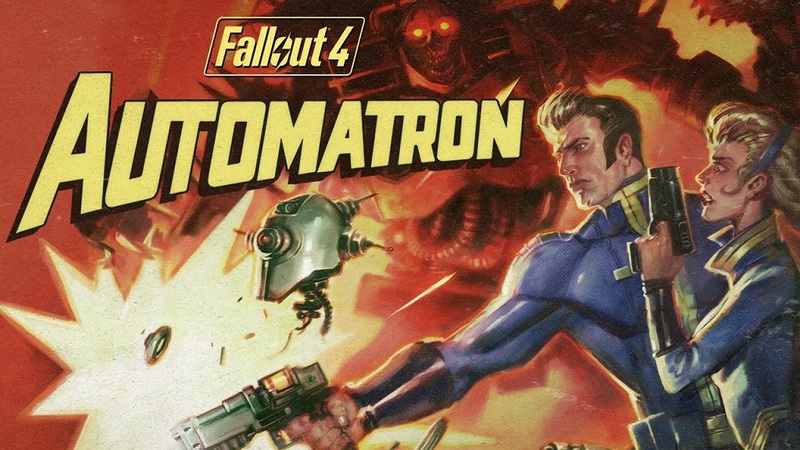 Automatron has made Fallout 4 better. The quest, while generic, did at least have a couple of endings, but the creators of this DLC really understood what makes Fallout 4 tick, and that is loot. By giving players more ways to use loot in a creative ways it really adds to Fallout 4’s already addicting feedback loop. While the main quest-line in and of itself probably isn’t enough to recommend Automatron, building cool robot friends is. Even if after a while they do seem to be a little over powered. Previous PostPrevious Batman v Superman v Story Structure! Next PostNext Daredevil Season Two Wrap-Up: If Ninjas Are Boring You Are Doing It Wrong!